I’ve been watching The Office (U.S.) from the beginning in my downtime over the last few months. Since I no longer work in an office with quirky co-workers, watching the show helps fill that role a bit. I recently watched the “Gettysburg” episode (Season 8, Episode 8). While half the Dunder Mifflin staff is on a leadership retreat with Andy on the battlefield in Pennsylvania, several team members have stayed behind in the office. Robert California, the company’s CEO, unexpectedly shows up at the office and decides to use the time for some intense brainstorming with the skeleton staff. Lovable accountant Kevin Malone remarks about where chocolate chip cookies appear in the building’s vending machine. Chocolate chip cookies are in the upper left slot—A1—which Kevin surmises is because the person filling the vending machine thinks that’s prime real estate. But Kevin says his eyes automatically go to the middle of the machine’s offerings—slot D4—where the oatmeal cookies are. No one wants oatmeal cookies, says Kevin, so why are they in the middle, where everyone’s eyes go? Robert thinks Kevin’s observation is an analogy for how Dunder Mifflin is wasting facilities and manpower on its underselling products—the oatmeal cookies—instead of pushing top performers, the chocolate chip cookies. This leads to an at-times meaningful discussion about which of the company’s products are being pushed by corporate despite being poorly received by company’s customers. 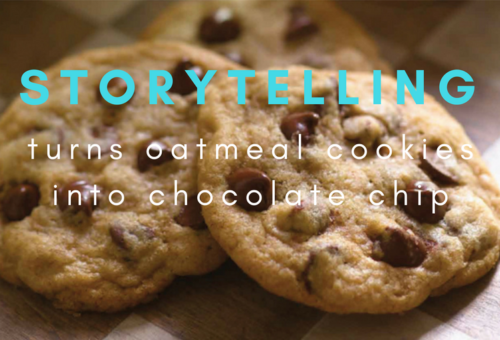 What’s your company’s oatmeal cookie? What service is your hospital or medical practice pushing even though it’s not as popular with patients as other services? When does a loss leader become just a loss? How do you decide whether to nix a service or continue investing time, money and resources on trying to promote it? Is it purely a financial decision, or, as healthcare providers, are there ethical or “greater good” implications? Are you highlighting the benefits that your patients will see? Are your marketing materials written from the perspective of your patients? Are you educating your consumers about how this service will alleviate pain and/or improve their quality of life? And most importantly, are you telling a story? Healthcare is personal, so your marketing should be, too. How has this service impacted a patient’s life? What wasn’t she able to do before, and how is she able to do it now? What did your patient’s return to wellness mean for his spouse and children? Patients are living longer, which is inherently a great thing. But how well are they living? That’s where you come in. How can your practice make that life better? I don’t know how many times I hear, “I’m really not that interesting” when interviewing a patient. Very few think that they have a compelling story, but by asking thought-provoking questions and getting to the root of each patient’s “why,” you can craft a patient success story that highlights how medicine is improving lives. And isn’t that why you got into medicine in the first place? What’s your underperforming service line? How can we make that patient experience more personal? Let your patients’ stories drive your practice forward.